The IP to Location widget, tries to predict the geographical location of the visitor using the IP address, the service is free and no signup is required. We had to do this post, when we came across some nice blogs with good content but badly done header graphics, If you have some photoshop skills it could take a few minutes to make a goo header image for your blog an for the rest, here's a selection of online tools which can be used to generate free header image for your blog. #1 Xara3D Heading Maker : The widget below generates a 3D header for your blog, however we admit that choices are somewhat limited. #2 Flaming Text : Lot's of styles and options, Do check this out. #3 CoolText : This header logo is specially selected for ladies and female bloggers. Also has some cool fonts for use and download. 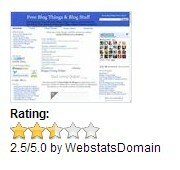 WebStatsDomain provides free analysis for your blog/website, It's interesting to look at the stats generated as it could be helpful for SEO analysis. On top of that there are many widgets that can be used on your blog, There is even a rating given by the site for each blog/website. Here's a free widget from mycountdown.org that counts down the date/time till the Christmas, the widget can be customized to suit your page/blog. Daily Bible Verse is a free widget by ChristNotes.org for christian blogs and websites, It has a customizable page that can be used to customize most of the things on the widget, Down below is a preview of the widget that we were able to customize for use. You can add this widget from the ChristNotes.org Daily Bible Verse Customization Page or use the "add to blogger" button to add it to your blog quickly with default options. This is a very popular widget that shows related posts with thumbnails below each of your posts, this service is brought to you by LinkWithin.com. 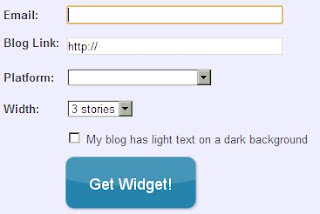 All you have to do is go to their homepage and generate a blog specific code for your blog and will generate a blogger widget.